There really is no basis for the argument to remove the Lower Snake River Dams. This is a frustrating movement that continues to resurface time and time again. The major funder of the movement to remove the Lower Snake River dams is a company called Patagonia, led by CEO Yvon Chouinard. 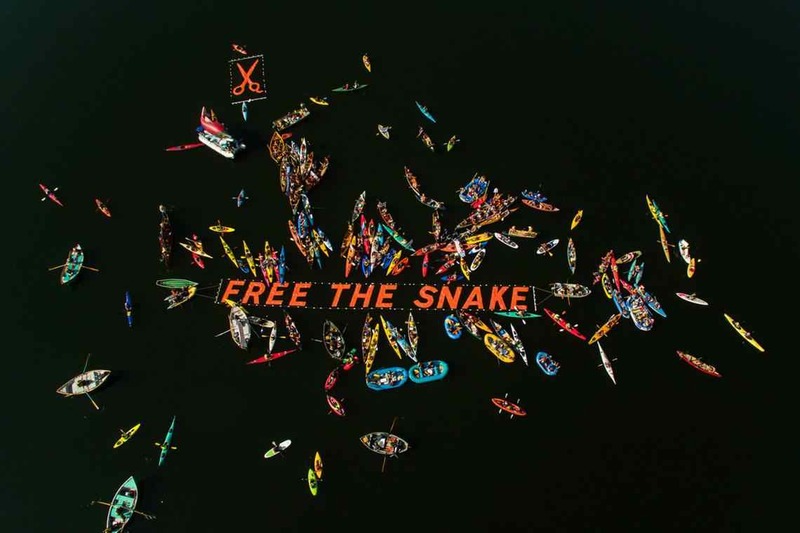 Each year, Patagonia contributes one percent (1%) of its annual net revenue to nonprofit charitable organizations that promote environmental conservation and sustainability, and most of it is going to efforts to remove dams. In 2013, their company revenue was over $500 million. Having a social mission tied to a company has been a trend for some time, and is commendable. However, their hypocritical stance and deceptive arguments promoting the removal of these economically important engines is irresponsible. First and foremost - Patagonia depends on fossil fuel and hydroelectric power for energy to power their 35 factories in Asia to make their garments. This is the most egregious hypocrisy of their crusade to remove the Lower Snake River Dams. Patagonia says, "Let's use alternative energy to replace energy produced by the Lower Snake River Dams." That alternative energy would require 2 nuclear, 3 coal-fired, or 6 gas-fired power plants to replace the average annual power produced. And while great strides have been made with technological advances, wind and solar is intermittent and unreliable and can't replace the void. As a matter of fact, the lower Snake River dams alone produced 37% more clean renewable energy than solar and wind energy combined in Washington State! Reliable resources like dams are needed to cover the periods when wind and solar aren't producing or if there is a power emergency. Patagonia points to the removal of the Elwa, Glines Canyon and Condit dams as momentum to remove our dams. Those dams had no fish passage, no navigation and almost no power production. It is baseless to accuse the Lower Snake River dams as deadbeat when they provide $20 billion in annual economic impact with energy, recreation, transportation, irrigation and flood control. Patagonia's new strategy is to say that southern resident orcas are threatened because of the Lower Snake River Dams are 'reducing the salmon runs'. This is the biggest piece of crap argument of them all! The National Marine Fisheries confirmed salmon numbers are high enough to support orca populations. Salmon and Steelhead runs in the Columbia/Snake River system are highest since counting began. The salmon returns are trending upward since 2000 -- both wild and hatchery -- due to massive investments at the dams and habitat as well as good ocean conditions. This is Patagonia's pathetic attempt to convince environmentalists from outside of our region to support this cause. Lastly, the transportation benefits of the dams to allow a typical 4-barge tow takes 538 trucks off the road that would be needed to deliver goods. This takes hundreds-of-thousands of trucks off the roadway every year. Let's not forget about the benefits of flood control of the dams, too. Our region has been battling this effort to remove the dams for 20 years now, and unfortunately special interests continue to try and change policy in the name of the environment -- that unintentionally lead to worse environmental impacts and consequences. Please join the movement to fight back the special interests from outside of our region wanting to destroy our way of life. We have taken to social media to point out Patagonia's hypocrisy to their followers, but we need your help to get the word out. Making Rivers Navigable for Trade by NW River Partners, is the document that Colin Hastings called upon as a source in this opinion piece. Colin Hastings, has been the Executive Director of the Pasco Chamber for 4 years, is passionate about our region that he grew up in and enjoys regularly fishing the Columbia and Snake River for Steelhead, Salmon and Walleye.